Namco Bandai's strikingly good-looking Digimon game. Namco Bandai has shared the first two screenshots of Digimon Story: Cyber Sleuth, its recently announced RPG for PS Vita. If you missed it at Jump Festa, catch the game’s teaser trailer here. 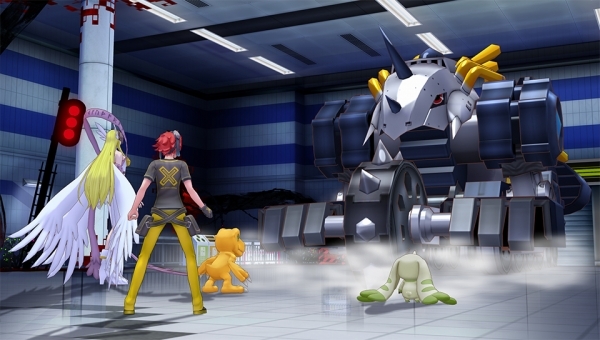 Digimon Story: Cyber Sleuth is due out in Japan in 2015.